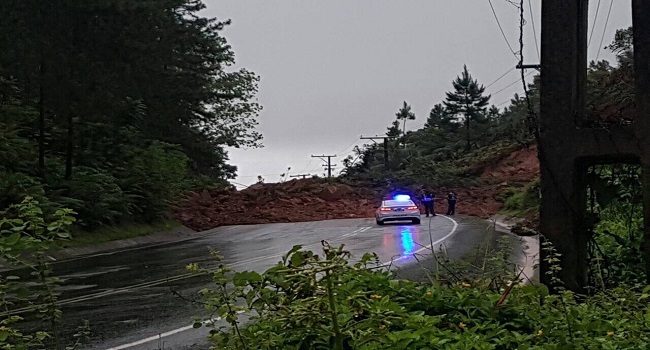 A landslide in Veisari outside of Lami this morning has effectively halted traffic in the area with police closing the road. Chief of Intelligence and Investigations ACP Biu Matavou says the road has been closed given the massive size of the landslide with the authorities now working on its removal. ACP Matavou has also confirmed that the Fiji Roads Authority are aware of the issue and contractors have been called in to assist with the landslide’s removal. Commuters leaving Suva for Navua and the Western Division and incoming traffic on the Queens Highway to can expect delays. The heavy rain overnight could have led to the landslide which is common place in the area. We’ll bring you more this story as information comes to hand.